The San Francisco Foster Youth Fund depends upon public donations to continue its work. You can help! Making a donation through our secure server is fast and easy, and when we receive your donation, we will send you an acknowledgement in the mail for tax purposes. Thank you for your support! CREDIT CARD FEES: There is a 4% service charge for credit card donations. Donors have the option of covering this fee or having it deducted from their donation. DONATION USE: The SFFYF is a non-profit organization with 501(c)3 status. We have no paid staff and all funds raised go directly to the youth we serve. 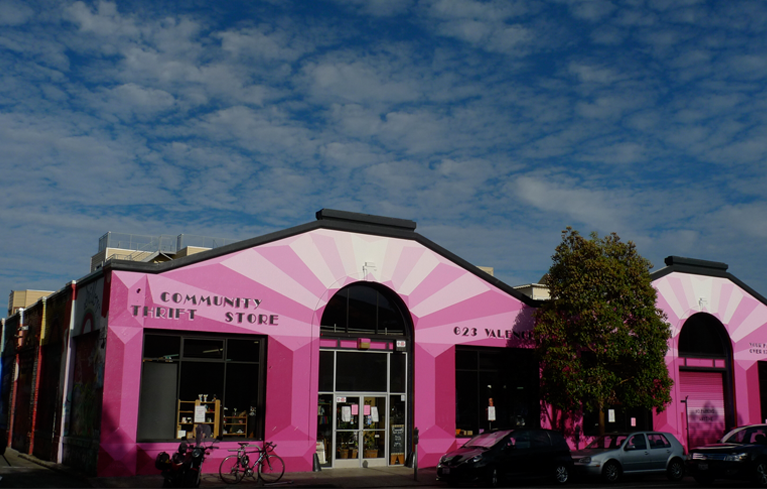 San Francisco Foster Youth Fund has registered with the Community Thrift Store as a designated charity. Books, furniture, gently used clothes, housewares take your old stuff the Thrift Store and say that you want to donate it in the name of the San Francisco Foster Youth Fund. When the item sells, they will give a significant portion of the sales price back to the San Francisco Foster Youth Fund. Donations are eligible for a tax deduction. The better quality of the donation the more money it will raise for the fund.